Ready to place an order, or simply need some advice? We offer a no-pressure & friendly approach to serving our valued customers. It’s how we’ve earned our reputation as one of Canada’s trusted solar power solutions provider. SOLARWYSE ships Canada wide from warehouses in British Columbia, Alberta, Ontario and Quebec. Shipping Policy: We offer free shipping across Canada on large orders valued over $10K. 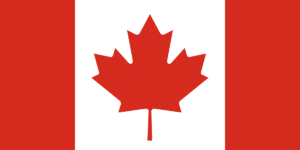 We are proud to be a Canadian owned and operated company.